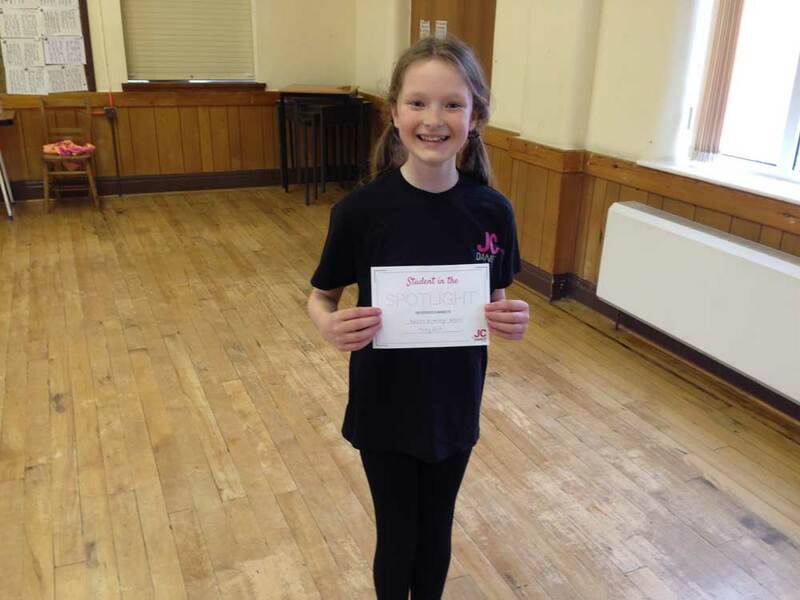 Kadee has been dancing at JC Dance since she was 2 years old and attends Modern classes at the Great Eccleston branch of the school, she is currently working hard towards her ISTD Grade 3 Modern exam which is in a few weeks. Kadee has been awarded Student in the Spotlight because she is consistent; she has great attendance, always tries really hard in class and adds performance quality in class not just in shows, she has an easy going nature and is a valued member of her class. Here she is wearing her winners t shirt with her certificate… Well done Kadee!